After a stellar 2014, Sydney Dance Company Artistic Director, Rafael Bonachela is prepping the company for an even bigger 2015. With world premieres, local debuts of international works and touring, audiences are in for a treat. 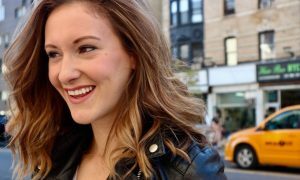 Since taking the reigns at SDC in 2008, Bonachela has steered the company in a new direction by widening the repertoire and working to increase the popularity of dance by collaborating with popular designers, musicians and artists. What were some of the highlights for yourself and Sydney Dance Company in 2014? Sydney Dance Company ‘Frame of Mind’ rehearsal featuring Cass Mortimer Eipper and Holly Doyle. Photo by Peter Greig. SDC’s first season of 2015 is the double bill Frame of Mind which features William Forsyth’s masterpiece, Quintett. 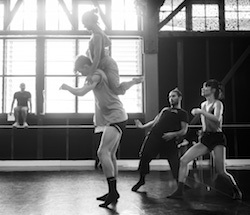 Tell us about this work and why you chose to bring it to Australia for your dancers. The double bill also includes a new work choreographed by you. What can we expect with this work? Sydney Dance Company’s ‘Frame of Mind’ in rehearsal featuring Sam Young Wright and Janessa Dufty. Photo by Peter Greig. Bryce Dessner’s music will be performed by Kronos Quartet for Frame of Mind. Do you think that incorporating more modern/popular music will entice a more diverse audience? 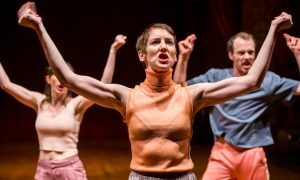 Have you noticed an increase in audiences and greater popularity for contemporary dance generally over the last few years? Sydney Dance Company’s ‘Frame of Mind’ by Rafael Bonachela. Photo courtesy of Sydney Dance Company. What do you have in store for the rest of 2015? Frame of Mind opens at Sydney Theatre on March 6, ahead of seasons at Canberra Theatre Centre, opening April 30, and Southbank Theatre, Melbourne, opening May 6. 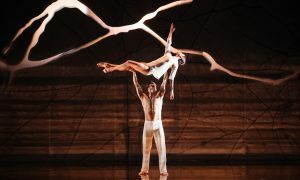 For tickets visit www.sydneydancecompany.com. WIN a Double Pass to a preview performance in Sydney, Canberra or Melbourne! Just email Dance Informa at info@danceinforma.com and tell us who choreographed Quintett, which will be featured in Frame of Mind. Make sure to include your full name, date of birth, mailing address and a contact phone number. Competition opens February 3 2015 and closes Feb 25 2015. 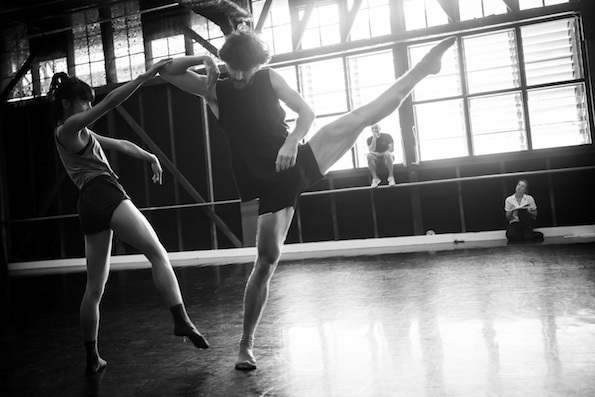 Photo (top): Sydney Dance Company Frame of Mind in rehearsal featuring Charmene Yap and Richard Cilli. Photo by Peter Greig. New to the Perth Scene: WA Dance Company, Inc.